In my fairytale land, I am surrounded by fields of dahlias, gardens lush with ranunculus and yards filled with peonies. I wish that I could wake up next to a huge vase of garden roses or cymbidium orchids and smell the sweet scent of lilac. But, since I don’t live in fairytale land and can’t always get my hands on my favorite premium flowers, I have curated a list of just as lovely substitutes. We use these a lot to help cut costs in centerpieces or bridesmaid bouquets, or when the premium flower isn't in season. Best part of all? We promise you won’t even notice the difference! 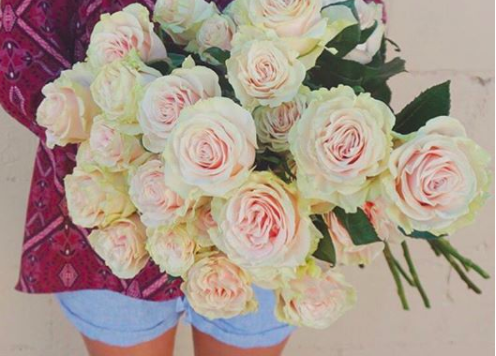 Garden Roses | A bride favorite! 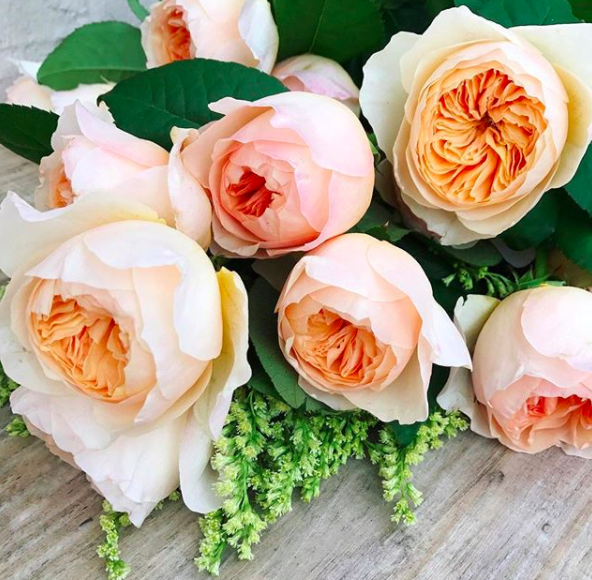 If you ever thought you weren’t a fan of Roses, Garden Roses are sure to change your mind. The petals are what make this flower so spectacular. They have a high petal count and usually a ruffly edge, giving them an incredible texture. Mondial Roses | Oh how I love thee, Mondial Rose! Packed with just as many petals, Mondial Roses look almost identical to the Garden Rose, but at a fraction of the price! They stay strong even after they open, which makes them perfect for bouquets. Ranunculus | Who doesn’t love these sweet little flowers? Like the Garden Rose, Ranunculus are packed with petals, making them all the more interesting to look at. They are adorable as boutonnieres and great in a mixed arrangement. Fun Fact: “Spray” is added to the names of flowers that have multiple laterals growing off of one stem. French Lilac | There’s nothing as quintessentially spring as Lilac. While it grows in a few colors, the most popular is the color the flower was named after. With a soft, pale violet tone and sweet fragrance, these flowers are one of our favorites for bouquets and for a simple drop-in arrangement in a glass pitcher. But, like many premium flowers, Lilac are only available a couple months out of the year, making them difficult to get. Purple Stock | While its name isn’t as flowery (pun intended) as Lilac, Stock offers a very similar effect as its more expensive counterpart. Filled with small blooms and dusted with an amazing fragrance, Stock will forever be our favorite “stocky” flower. It fills out arrangements, add dimension and grows in beautiful shades of purple, peach, cream and white. Best part of all? Stock is available year round and always looks fresh. Dahlias | Everyone loves Dahlias. How could they not? They are unique, grow in amazing colors and have the neatest shaped petals. Dahlias, unfortunately though, are also a very delicate flower and can be pretty costly. Only a couple months out of the year are we able to use these flowers confidently, which is why their dupe comes in handy when they aren’t seasonally available. Cremon Mums | One of our favorite flowers to use during the fall time are Bronze Cremons. Packed with gorgeous petals, Cremons give an almost identical look as a Dahlia, but for a lot less $$$. Best of all? Mums are a long lasting flower, which means these beauties will stick around for awhile in your arrangement. So, there we have it, proof that you can get an expensive look for less money and be able to enjoy your favorite seasonal flowers year round. Have any dupes of your own? Share them down below. We'd love to learn how you are getting a premium look for less.